From October 2014 you could no longer renew your tax disc or pay for road tax at post offices throughout the UK, it would have to be done online. In the run-up to this change, many new websites dedicated to offering tax disc applications popped up. Gov.uk informs about this change in their Blog. 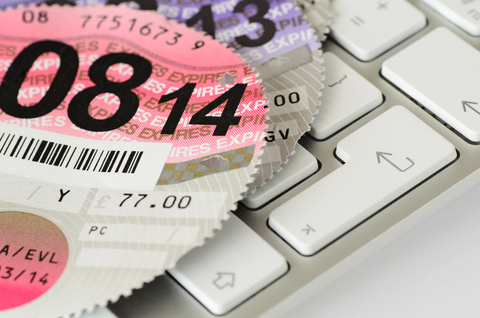 Back in spring, the UK saw an influx of websites charging for tax disc renewals online, and motorists were complaining about being duped. 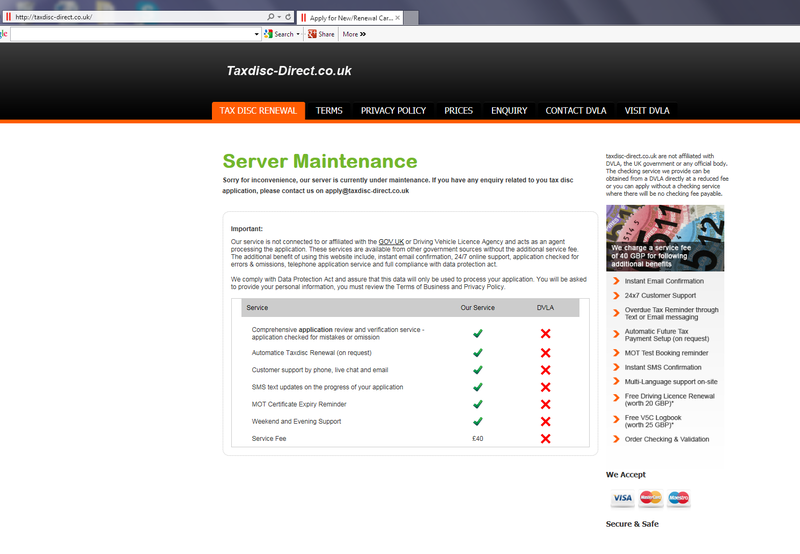 One such website, taxdisc-direct.uk.com, was a copycat site, looking very similar to the Direct Gov’s portal site. They charged £40 for a service provided for free through the correct channels, and the £40 fee was added to the cost of the tax disc renewal at check out. There is only a small disclaimer saying the site is not affiliated with the DVLA. Many people thought they were on the official website. 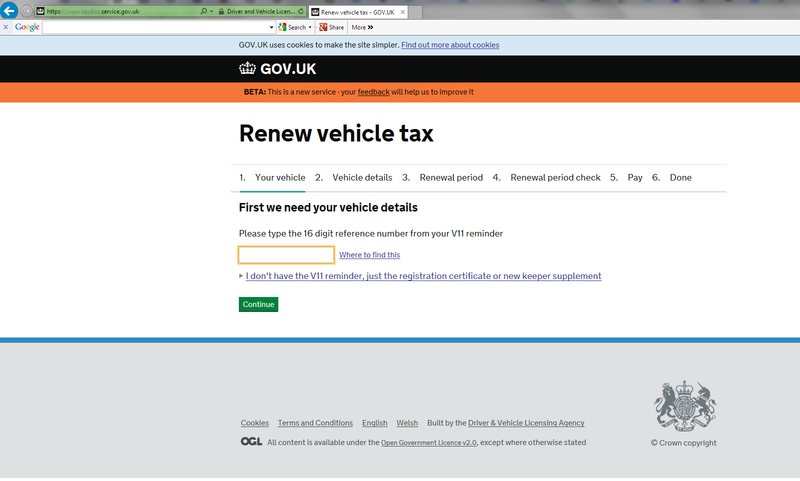 The DVLA makes no charge, beyond the cost of the actual tax disc, when renewing through their website. 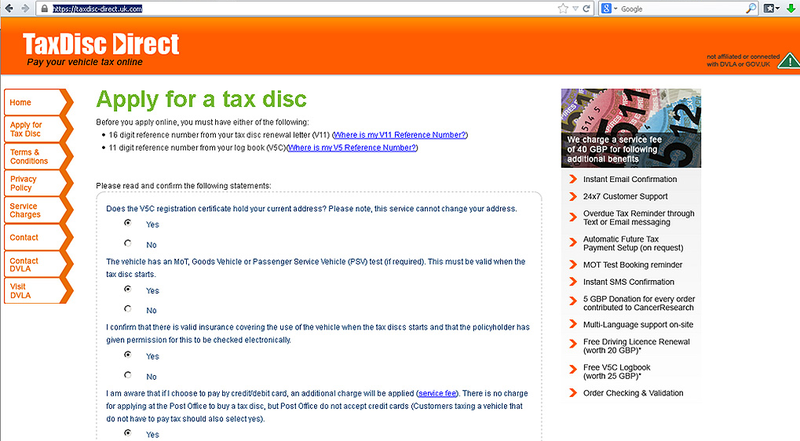 Taxdisc-directs website has changed its design to copy the new Gov.uk portal. Although the small print says they are not part of the DVLA but provide a service which includes tax disc renewals for a fee. For those not in the habit of reading everything on a webpage, there is still room for confusion, and the site is still misleading. There are plenty of other similar services offering tax disc renewals online. At the moment they all link through to the correct portal for vehicle taxation (as above). This could change if or when the dust settles regards to misleading websites, currently under investigation by the National Trading Standards Board (NTSB). It could be argued that sites like these are not real scams, they offer a service people need, but they prey on people not paying attention. They charge for services which are free and available through official channels. There is also the added concern that people are duped into providing confidential information to third parties. While the crack-down on misleading website are ongoing, The Office of Fair Trading has ruled that websites that charge additional fees and services are not acting illegally. But how can you decide between a legitimate website offering a service and a copycat site keen to get your private information and credit card details? Omniquads Surfwall Remote customers are protected from scam sites like the ones mentioned above. Surfwall Remote web filtering include features that allow you to either block or be warned when trying to enter such websites, depending on your settings.